A trip that I came up with in the spur of the moment. A day off in the midst of the week, the sun is shining outside and I decided to just take my bike and check out how far the Rhine actually was from Frankfurt. 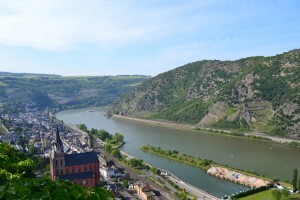 The Rhine between Mainz and Köln is UNESCO world heritage and righteous so. 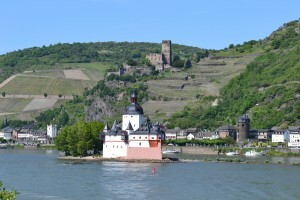 The river slices through a valley stacked with castles from various ages. Each castle trying to outwit the other with some kind of special feature. 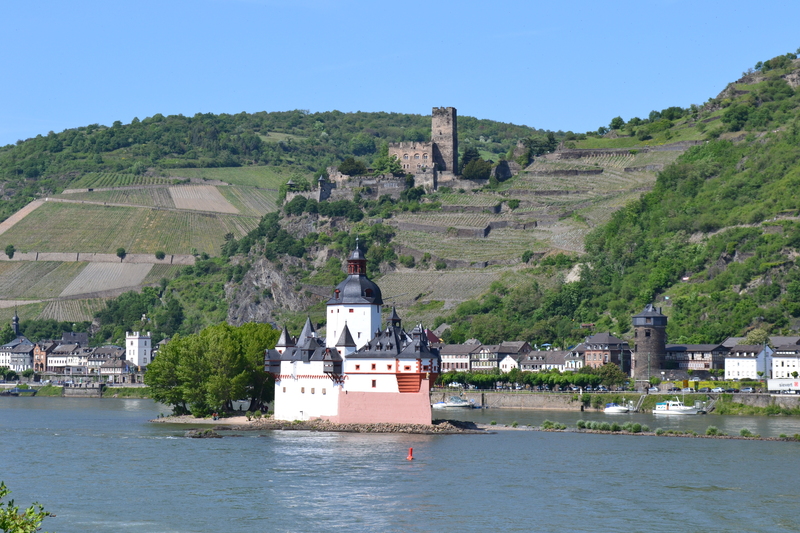 I especially fancied the castle in the middle of the river. Not because it was particulary beautiful, but just because it sat there, in the middle of the river. As if the lord of the castle had a mad passion for fishing when he decided to plug a castle down there in the middle of a running river. Crazy Germans! 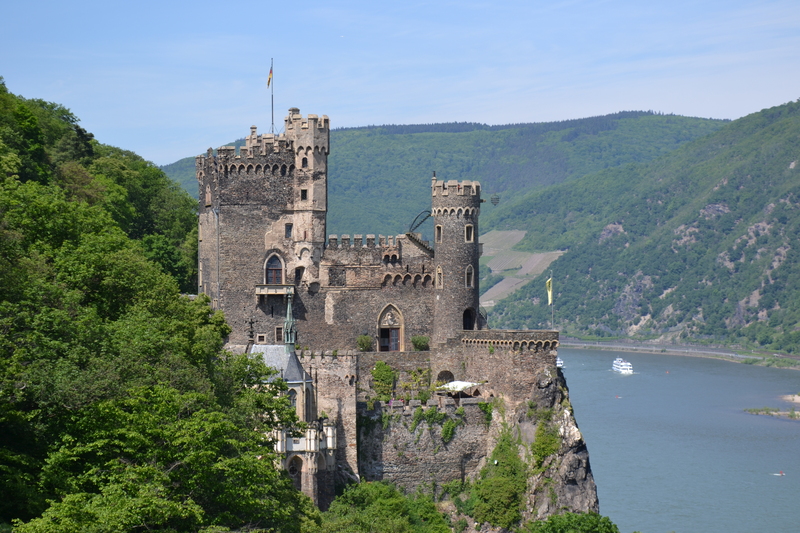 The first castle I stopped by to investigate a little closer was the Burg Rheinstein, well preserved castle that looked over the Rhine (like every other castle in the valley). There wasn’t much to note, except that it was just a lovely venue. Even though I wonder if the name Rheinstein has anything to do with Rhinestones, those little fake diamonds that are used frequently in jewelry. 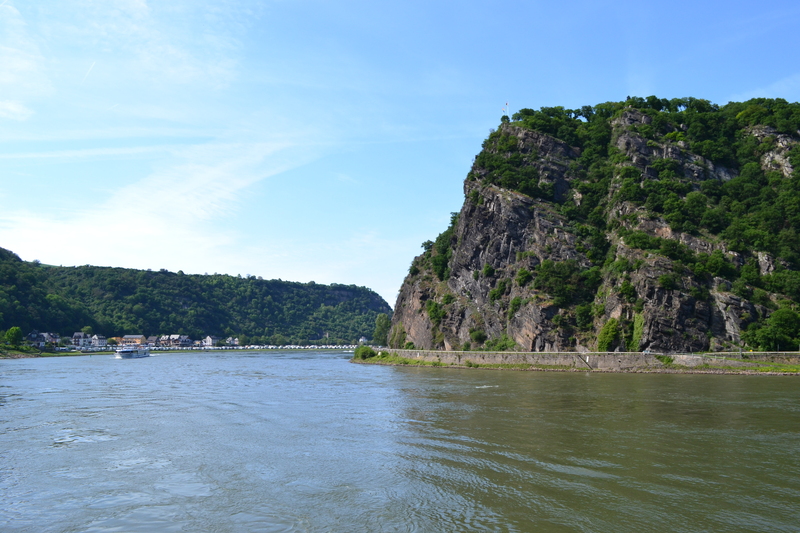 My final goal of the day was the Loreley, a rock, sticking out 120 meters above one of the narrowest places of the Rhine. Needless to say it is a place for many accidents and legends. According to the legends, the accidents are caused by a siren, sitting on top of the Loreley. Her singing would distract the shipmen who then steered their vessels into the treachery rocks that lurk under the shallow waterline. 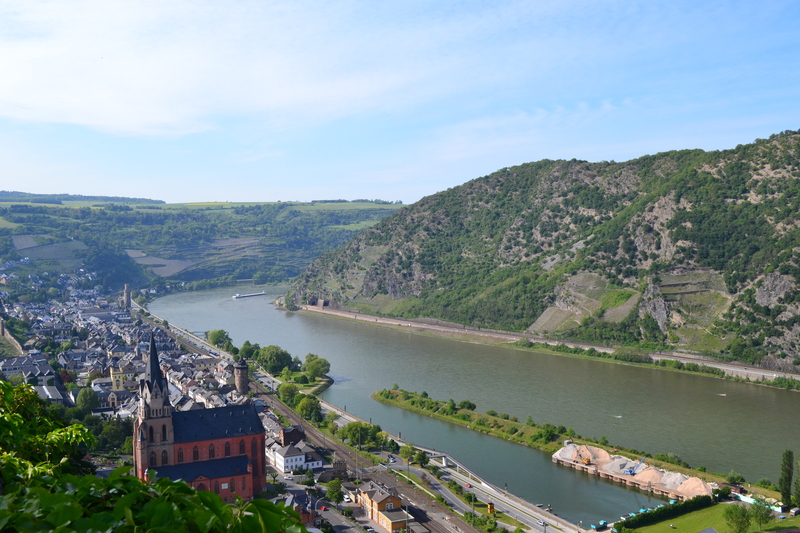 But I was too tired (and on the wrong side of the river) to go check out if she was really there. Besides, I have no interest in romantic encounters with such fatalistic figures.